Dexus Place Melbourne offers an auditorium, theatrette, meetings rooms, project space, boardroom, market research room and a unique immersive studio ideal for meetings, functions, presentations, conferences and more, ideally located in the Melbourne CBD. The spacious and bright auditoriums offer plenty of natural light and seat up to 50 guests theatre-style, and up to 120 when combined with the adjacent business lounge. The meeting rooms feature plenty of natural light and a range of room set ups can be achieved through flexible furniture configurations. A minimum a 55” HD audio visual display and clickshare technology are provided. 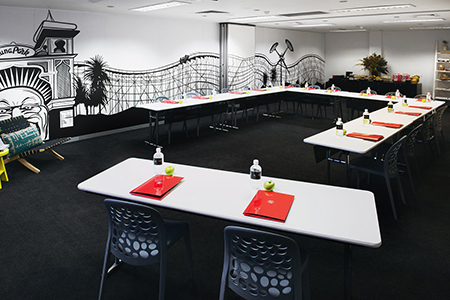 The walls can be used as whiteboards making this room perfect for meetings where guests are looking to workshop ideas. Classroom spaces are fully flexible and can be used for business meetings, seminars, lectures or workshops. Our largest classroom holds up to 65 guests and contains two ultra HD display screens ranging from 55“ to 95“. The various executive boardrooms are designed for private board meetings with plenty of natural light. The Immersive Studio provides a specially designed environment where every detail is perfected to create a visual, audio, and collaborative experience that is so real, you forget about the technology and focus only on the objective and content of your meeting. Conference room and mobile video emulate real-life meetings are ideal for multi-site meetings. The video wall comprises of three 84” thin bezel displays plus a dedicated content display so every participant can see the content clearly. The largest immersive studio seats up to 21 guests in each room. Our state-of-the-art theatrette features a concealed catering style kitchen and a private foyer, and is equipped with touch screen audio visual and plug and present capabilities. 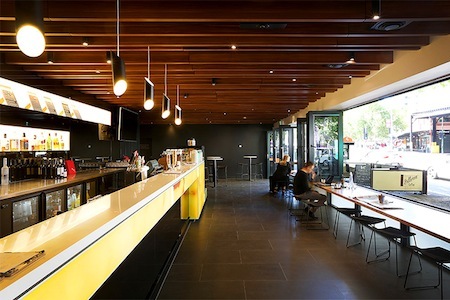 Dexus Place is the perfect venue for your next celebration or function. We specialise in hosting events both small and large and have a number of rooms available for private hire. 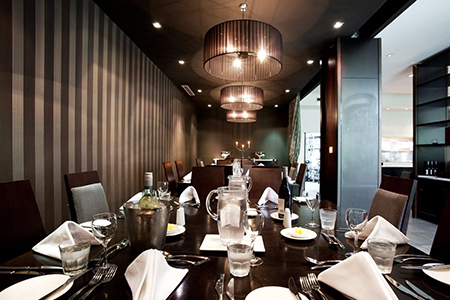 Private function rooms and stylish lounge areas can help you create the perfect occasion to suit your budget and requirements. 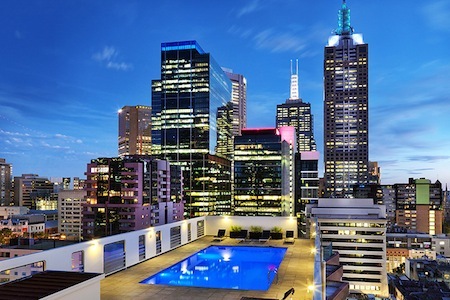 The terrace, when combined with our business lounge can hold up to 220 guests. We can work with you to tailor a menu to suit your budget.